Bhubaneswar: Prime Minister Narendra Modi will lay the foundation stone for City Gas Distribution projects in 63 Geographical Areas (Gas) across India, including seven in Odisha. The seven GAs covers 17 districts-Sundargarh, Jharsuguda, Jajpur Kendujhar, Angul, Dhenkanal, Balasore, Bhadrak, Mayurbhanj, Bargarh, Debagarh, Sambalpur, Ganjam, Nayagarh, Puri, Jagatsinghpur and Kendrapara. The PM will lay the foundation stone through a live video streaming programme at Vigyan Bhawan in New Delhi in the presence of Science & Technology Minister Dr Harsh Vardhan, Petroleum & Natural Gas Minister Dharmendra Pradhan and other dignitaries on November 22. In GA level functions, Union Tribal Affairs Minister Jual Oram will be the chief guest at Rourkela, Union Minister of State for Rural Development Ram Kripal Yadav will attend the programme at Berhampur and Minister of State for Tribal Affairs Sudarshan Bhagat will grace the occasion at Jajpur Road, said a statement. 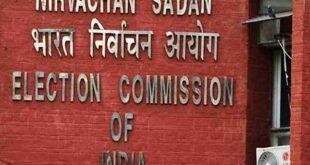 Petroleum and Natural Gas Regulatory Board (PNGRB) has offered 86 new GAs covering 174 districts across the country in its 9th CGD Bidding Round, which is presently underway. The new GAs have an investment potential of Rs.2100 crore in the next 5 years and expected to generate around 19800 direct employment for skilled, semi-skilled and unskilled categories in Odisha. 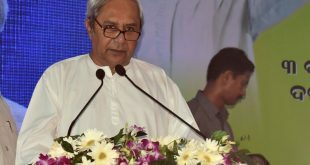 The GAs awarded in Odisha at Jagatsinghpur, Kendrapada, Jajpur, Keonjhar, Angul, Dhenkanal, Bargarh, Debgarh, Sambalpur districts to Bharat Gas Resources Limited with an approximate project cost of Rs 1252 crore in 8 years. Subsequently, Adani Gas Limited has bagged the award at Balasore, Bhadrak & Mayurbhanj districts for 20 CNG stations and 1,50,464 domestic connections over a span of 8 years with a total investment of Rs. 500 crores, the statement said. The GAs authorised to GAIL Gas Limited in Odisha are Sundargarh, Jharsuguda, Ganjam, Nayagarh & Puri districts. For Sundargarh and Jharsuguda districts, the total investment is Rs. 944 crores. The districts will have 20 CNG stations and approximately 1,00,000 households connected with Piped Natural Gas. 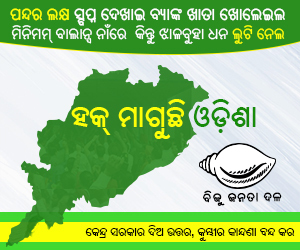 For Ganjam, Nayagarh and Puri districts, the investment is Rs.728 crores. The district will have 15 CNG stations and approximately 51,000 households connected with Piped Natural Gas. 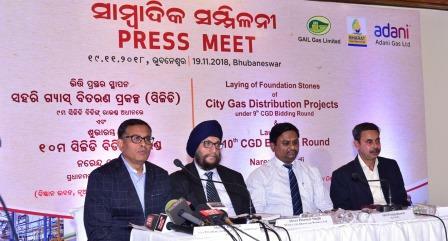 Now, PNGRB is in the process of launching the 10th CGD Bidding Round in 50 GAs spread over 14 states, 123 districts and covering additional 24% of India’s population and 18% of India’s area.